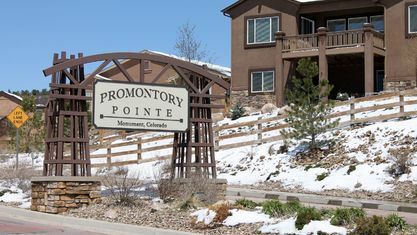 Promontory Pointe is a newer area off Baptist Road in Monument. 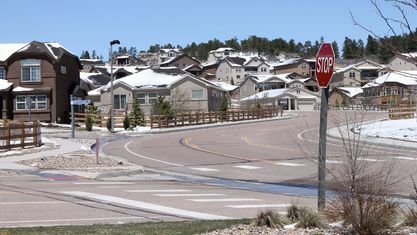 Offering gorgeous views of the Front Range, Promontory Pointe homes range from the high $300,000s to the mid-$600,000s. Most noteworthy, neighbors of the area site the following opinions: it is family friendly, peaceful and quiet, beautiful walking areas and all kinds of amenities closeby. Serving Promontory Pointe is School District 38. Known for SAT and ACT scores well above the national average, you will find smaller class sizes, hence, low student to teacher ratios. 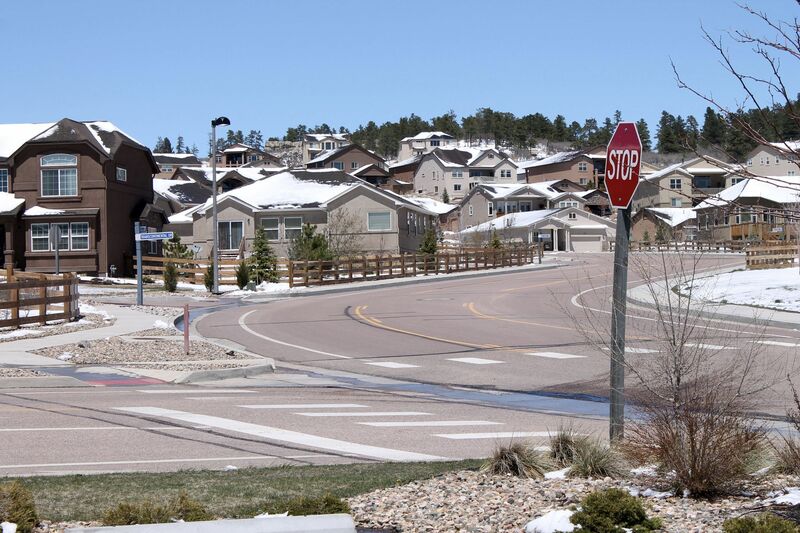 Having it all nearby, kids living in this area attend Bear Creek Elementary School, Lewis-Palmer Middle School and Lewis-Palmer High School. One of the most gorgeous parks in Colorado is Fox Run Regional Park, just two miles away. There you will find plenty of picnic areas, picnic pavillions, walking, bike riding, and horse back riding trails galore. In addition, there is a lovely pond with gazebo where many a wedding has taken place. The Club at Flying Horse is just 10 minutes from Promontory Pointe. A private and exquisite club, it offers all kinds of family friendly recreational activities. Monument hosts a beautiful, fairly new YMCA, also very closeby. With everything from Safeway to Starbucks; King Soopers grocery store to quaint and elegant eating establishments, Promontory Pointe is perfectly located. Just a few minutes south you will love shopping at The Promenade Shops at Briargate with its upscale boutique quality shops. Also, nearby is Chapel Hills Mall with excellent department stores and smaller shops as well. Come with us and see the beautiful home choices in Promontory Pointe. It's a gorgeous location and an amazing option if you desire the country feel but city close! 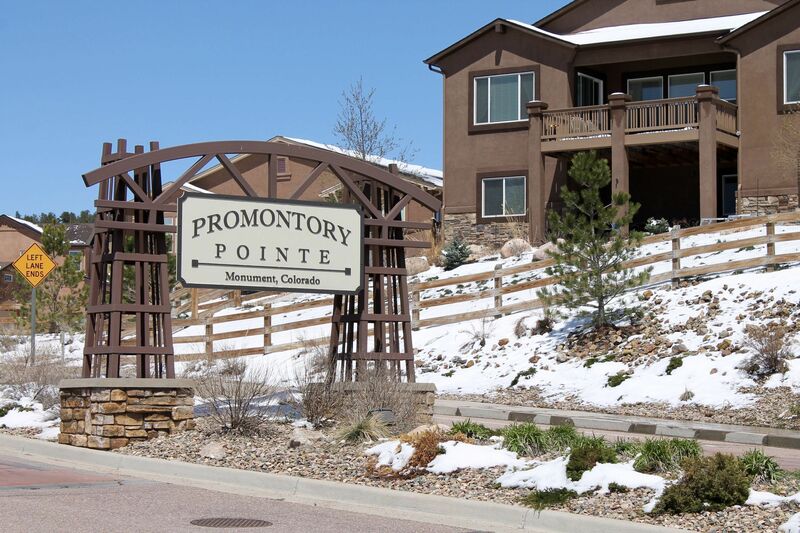 Get to know Promontory Pointe better with our featured images and videos.